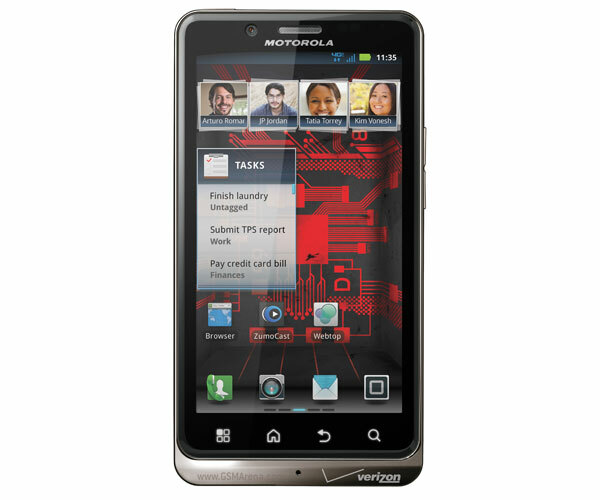 After many months of waiting, Verizon has finally started selling the DROID Bionic. The handset is now available throughout the carrier’s retail network and will set you back by $299 on a 2-year contract. The DROID Bionic has a 4.3-inch qHD display, TI OMAP4430 SoC with 1GHz dual-core ARM Cortex-A9 CPU and PowerVR SGX540 GPU, 1GB RAM, 32GB storage space (16GB internal + 16GB microSD card), expandable up to 48GB, 8 megapixel camera with auto-focus and LED flash, 1080p video recording, HDMI out and Android 2.3.4. It will be powered by a 1,735mAh battery. The DROID Bionic will also have support for Motorola’s various docks, such as the keyboard dock, HD dock and desktop dock. There is also a $30 Webtop adapter, which turns the phone into a keyboard and trackpad when connected to a bigger display.